What better way to bring your family closer together than our Easter Free Access weekend? From 30 March to 2 April, you’ll be able to search millions of UK, Ireland and Commonwealth records – all completely free*. Start in Britain then head off to Australia, Canada, or wherever, and spend four full days finding long-lost family all over the Commonwealth. Explore more than 40,000 images, capturing defining moments in history and displays of everyday life. Find family among the vital indexes covering England and Wales as far back as 1837. Get access to everything from Australian Electoral Rolls to Canadian Census records. 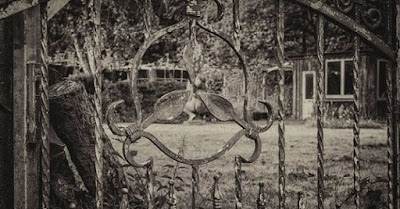 Deceased Online are proud to host an enormous collection of photographs of Norfolk cemeteries, taken by Norfolk resident Louise Cocker. The first 90 cemetery collections, a total of over 10,000 photographs, have gone live today and many thousands more are currently in process. In her spare time, Louise has been photographing the headstones and memorials of Norfolk with her mother, Angela, since 2009. "It's something I am very passionate about," Louise told Deceased Online, "As I think it is important for future generations to be able to see where their ancestors are buried." As headstones and memorials erode and wear down over time, Louise's work has become very important for preserving the memories and stories contained within these cemeteries. The collection covers over 100,000 people with related photographs of their headstones, memorials, plaques, and war dedications; some of which date from the 1600's. Many of the older inscriptions contain a lot of information valuable to historians and family researchers, such as the lineage and names of surviving children of the deceased; "Here under resteth the body of ye worthy and religious lady Elizabeth Pettus, daughter of Sir Thomas Pettus of Aswelthorpe, Knight, and of Elizabeth, one of ye daughters and coheires of Sir Nathaniel Bacon of Stifkay, Knight, and late wife of Sir Thomas Pettus of Rackheath, Baronett, who deceased Jan:28:1653, and left 3 surviving sonnes Thomas, Augustine and John." Due to the nature of this collection, some records may be difficult to find. Where headstones have weathered and eroded over time, some parts of the memorial text may be rendered illegible. Using a percentage symbol (%) in place of a surname or forename will bring up all names, including those recorded as illegible. Example - Searching for "White, Sophie Anna" - no records found. "%, Sophie Anna" will display all records with the forename Sophie Anna. "White, %" will display all records with the surname White. "White, Sophie %" will display all Sophie Whites, with any middle name. For more efficient searching, use the date of death in the burial date field. If a name has less than two characters it will return more than one result so that you have greater control over finding the correct one. Although the memorial inscriptions feature of the website has been designed for headstones, we’ve included other photos where the information might be of interest. This includes photos of plaques, sketches of the layout of graves, portraits, lists of commemorations, and long shots of the churchyards showing the relative positions of the memorials. We've prefixed some inscriptions to make it clearer what the photo will show. Some inscriptions are too long to include; particularly ones such as war memorials, which are a long list of names. Unless the surname is in the inscription, the search will return the name but on entering the record it says there are no results. Users will need to click clear to display the inscriptions. 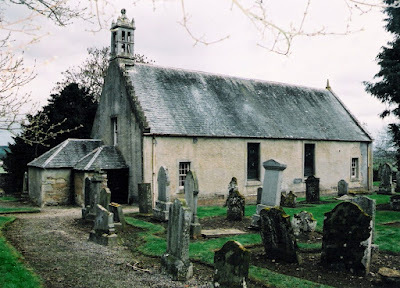 Should you have multiple relations in the same churchyard or cemetery, it may be more cost effective for you to purchase the entire collection of photographs for that churchyard or cemetery, rather than purchasing individual photographs. During our recent stock take we have unearthed a handful of copies of The Ulser Port Books 1612-15 by R.J. Hunter. To mark this discovery we are offering the R.J. Hunter collection, in its entirety, for the special price of £74.99! This is the first time in a year we have been able to offer a complete set of R. J. Hunters’ publications and we do hope that you take advantage of this tremendous find. We have a very limited number full sets available (only six copies) so be sure to order quickly to avoid disappointment, as the sets will be sold on a first come first served basis. Interested in the Plantation of Ulster? To mark the centenary of the establishment of the RAF on 1st April 1918, TheGenealogist has released thousands of records of individuals who were recorded in a number of Air Force Lists from 1921 to 1944. Also released at this time are copies of the Flight Magazine for 1909, 1910 and 1911, plus an important collection of historic reference books. In order to commemorate the formation of the world’s first air force independent of an army or a navy, TheGenealogist has added these new records to its ever growing military collection for researchers with RAF ancestors to make use of. Air Force Lists recorded the details of officers that served in the Royal Air Force and include information on the order of seniority, retired officer lists, and alphabetical indexes. Flight Magazine was founded in 1909 as a journal concerned with air transport and all things to do with flying. Of particular note are the following historic reference books that have been added in this release: The Air Annual of the British Empire 1930, Book of the Air 1931, Aviation - An Introduction to the Elements of Flying, and The Wonder Book of Aircraft 1930. Family history researchers looking for ancestors who had been in the Royal Air Force will be able to search for their forebears in this new addition to the military collection of records on TheGenealogist. Firstly, as many of you know, MyHeritage takes customer support very seriously, and so we are happy to announce that we are now offering customer support 24 hours a day, 7 days a week! We are probably the first and only family history and DNA company to provide round-the-clock support. Our support team now includes 138 full-time employees, taking phone calls and handling support questions via email. We've spared no expense and doubled the size of the team in the past 6 months in order to scale up and provide shorter wait times for calls and tickets, as well as keep up with the huge growth of our business. The second announcement is that we've released two new features that were requested by our users at the RootsTech conference in Utah in February, to make navigating in the list of DNA Matches easier. Following major updates and improvements to our DNA Matching in January 2018, MyHeritage DNA users are receiving 10 times as many matches as before. It’s therefore only natural that there is now demand for easier ways to work with this information and make the most of it. Users can now jump to a specific page of matches, or increase how many matches are displayed on each page. We're pleased to have been able to implement this so quickly. We also fixed the distant relationship estimates for DNA Matches with relatively little shared DNA which used to be displayed as “3rd cousin – 5th cousin”. Now, the more distant matches are listed as “3rd cousin – distant cousin”, which is more correct because in reality they might even be your 6th or 7th cousins. COMMENT: One further thimng I'd like to add - I've been having a lot of fun this week with MyHeritage's chromosome browser (see https://britishgenes.blogspot.co.uk/2018/03/myheritage-releases-chromosome-browser.html). If you done a DNA test with MyHeritage, or with another tester, this is definitely an option to play with! March is Women's History Month. Come explore two of Fold3's newest collections of women's records: British WWI Honourable Women and British WWI Service Women Casualties. This collection is a reproduction of a book entitled Honourable Women of the Great War & the Women's (War) Who's Who. The book gives brief biographies of more than 200 British society women who participated in the WWI war effort through nursing, charitable work, etc. Photos of some women are also included. In addition to discussing the women's war work, each entry provides a wide range of genealogical and social information, such as parents' names, husband's name, marriage date, hometown, hobbies, club membership, and more. The book's entries are arranged in alphabetical order by surname. However, note that many of the married women included in this book are referred to by their title or surname only, or by their husband's name or initials, rather than by their given name. Like the title indicates, this index documents British servicewomen and nurses who became casualties of World War I. Early in the war, women were primarily involved in the war effort through nursing, caring for refugees, and assisting and caring for wounded servicemen. But as the war progressed, women’s branches of the armed forces were created, and as a result women also served in organizations such as the Women's Army Corps, Women's Royal Navy, and Women's Royal Air Force. On Fold3, this index is organized first by the organization the woman served with, then by given name in alphabetical order. Get started searching or browsing these two collections on Fold3! Source: http://www.scottishindexes.com/courtsearch.aspx accessed 10th October 2017. Source: Electronic databases created from various publications of parish and probate records. 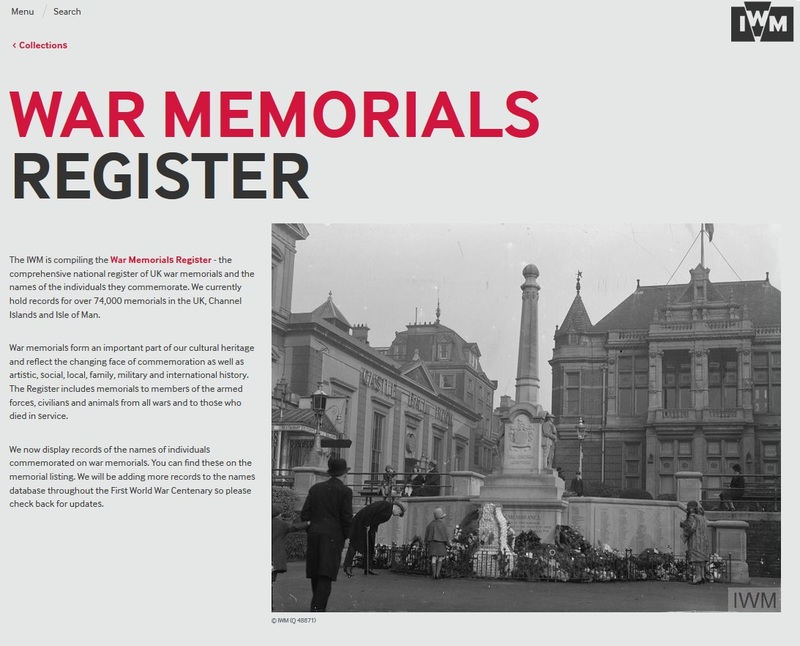 The IWM is compiling the War Memorials Register - the comprehensive national register of UK war memorials and the names of the individuals they commemorate. We currently hold records for over 74,000 memorials in the UK, Channel Islands and Isle of Man. Digitized for the first time, the Stuart and Cumberland Papers from the Royal Archives at Windsor Castle are now available online in their entirety. The Stuart Papers represent the correspondence and personal documents of the exiled members of the Stuart dynasty after 1688. Available here alongside the Cumberland Papers of William Augustus, Duke of Cumberland and second surviving son of George II, they provide a unique window into the world of the Stuarts and their Jacobite followers, as well as to the incumbent Hanoverian monarchy during a time of continental wars, domestic conspiracies and rival claims to the Throne. From the time of the Glorious Revolution in 1688 until the death of the final Stuart claimant in 1807, the Stuart Pretenders were royal exiles in Europe, and at the head of a network of Jacobite supporters at home and abroad. Jacobites at all levels of society corresponded with them and their agents, visited the court-in-exile at St Germain-en-Laye, Avignon or Rome, and reported on the activities of the ‘usurping’ house of Hanover and its supporters in Britain. The Stuart Papers is that correspondence. The collection tells the story of the lives of James II and his heirs, James Francis Edward (the Jacobite James III and VIII), Charles Edward (the Jacobite Charles III) and Henry Benedict (later the Cardinal Duke of York, and Jacobite Henry IX). Centred around the royal family, the papers allow researchers access to their wives and mistresses, loyal followers, courtiers, and spies around Europe. At various times, there were Jacobite agents and envoys in Italy, Sweden, Spain, Russia, France, Poland and Britain, and a strong Jacobite culture developed in Scotland and among the expatriate Irish who had followed James II to the continent. In this archive, researchers will find domestic plots and international schemes, personal letters between the members of the Stuart family and their closest allies, details of court intrigues and quarrels, even household accounts and menus. The Cumberland Papers relate particularly to military matters from the Duke’s time as Captain General of the British army in the War of the Austrian Succession and the early stages of the Seven Years’ War, but also include a number of Jacobite documents captured in Scotland after the Battle of Culloden in 1746, including letters from Charles Edward Stuart and accounts of his escape to Skye. Elsewhere, British national and foreign policy, parliamentary updates, reports from British colonies, and personal papers relating to the Duke of Cumberland’s role as Ranger of Windsor Great Park, and to his household and estate at Cumberland Lodge are also represented. The collection is available at https://www.gale.com/uk/c/stuart-and-cumberland. al publication that have been provided by the Bristol & Gloucester Archaeological Society. Explore six volumes of Rev Frederick Brown's Abstracts of Somersetshire Wills. The volumes were published between 1887 and 1890 although the abstracts themselves cover the 16th, 17th and 18th centuries. You can search these digitised images by name, publication title, and keywords. Over 63,000 records have been added to our Hue and Cry Police Index. The Gazette was an English newspaper that published notices of wanted criminals and the offences they committed. The index contains the details of crimes committed all over Britain as well as the names of missing persons and those who had been transported or imprisoned. Over 400 new records have been added to the Knights of the Realm & Commonwealth index. The index covers 17 different honours and decorations, both current and dormant, and includes records dating back to the 11th century. 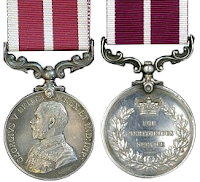 TheGenealogist has released the records of 29,000 individuals who were decorated with the Meritorious Service Medal (MSM). The roll of names for those who were awarded this British honour in the First World War have been released by TheGenealogist. Researchers can now look for holders of this medal up to 1920 from within their ever growing military records collection. 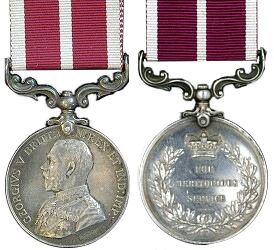 for long service of at least 20 years to servicemen who were of irreproachable character and already held the Long Service and Good Conduct Medal of their service, the First World War saw it awarded to those who performed acts of non-combatant gallantry in the performance of their military duty. In the second case the bravery was not necessarily while the serviceman was on active service and may have been in the saving or attempted saving of the life of an officer or an enlisted soldier. Family history researchers searching for ancestors who had been awarded the Meritorious Service Medal in the First World War will be able to find their forebears in this new addition to the military collection of records on TheGenealogist. To book a search room seat at the ScotlandsPeople Centre in Edinburgh costs £15 per day. You can view as many records as you like for no additional charge. Printing copies of historical records costs 1 credit (£0.25) per page and the same pay-per-view charges apply if you wish to save an historical record to your account. Credits are available for purchase in batches of 8 (£2.00) in the Centre. I have highlighted the change in bold. It used to be the case that you could save a digital copy of the image to a USB drive at the ScotlandsPeople Centre for 30p at a time, but this facility was disabled some time ago. It now looks like you can save digital copies to your ScotlandsPeople website account - but at the same costs as would be involved if using the website from home, i.e. 6 credits which amounts to £1.50. 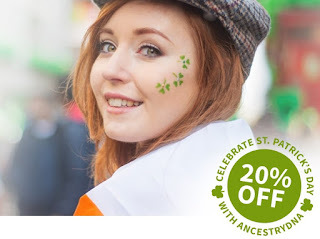 There are a couple of offers from Ancestry (www.ancestry.co.uk) for Saint Patrick's Day. Get 20% off the best-selling consumer DNA test, and discover the places in your past - around Ireland and further afield. *Offer valid from 16 March 2018 to 19 March 2018. 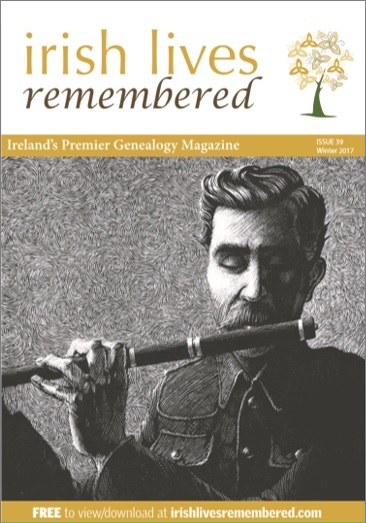 Secondly, Ancestry is offering free access to its Irish Heritage Collection, including its new Boston Irish Catholic Collection, until end of play Monday 19th March 2018. 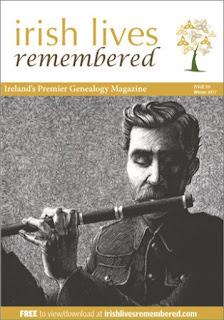 Search for your Irish ancestor in over 153,000 annuity statements, accounts of deaths, death certificates, and marriage certificates relating to the subscribers and nominees of the Irish Tontine. Popular in the seventeenth and eighteenth centuries, a tontine was an investment plan designed for the raising of capital. 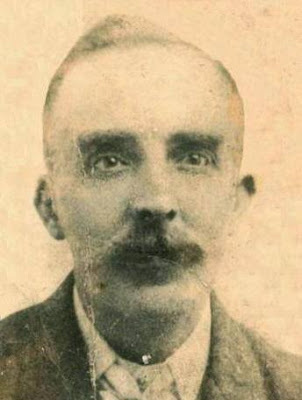 Named after the Neapolitan banker Lorenzo de Tonti, who allegedly invented the tontine in France in 1653, subscribers would pay an agreed sum into the fund and thereafter receive an annuity from it. Upon a member's death, their shares would devolve to the other participants whose annuities would then rise in value. The scheme would be wound up when the last member died. Search for your ancestor's name in over 125,000 records taken from correspondence between members of the British Foreign Office regarding the activities of the American Fenian Brotherhood during the years from 1864 to 1897. 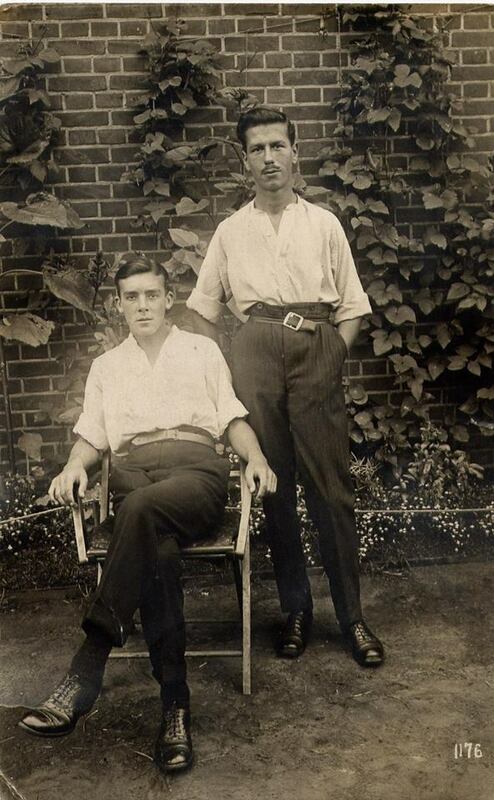 Records include newspaper cuttings, letters, telegrams, lists of prisoners, and a number of photographs. 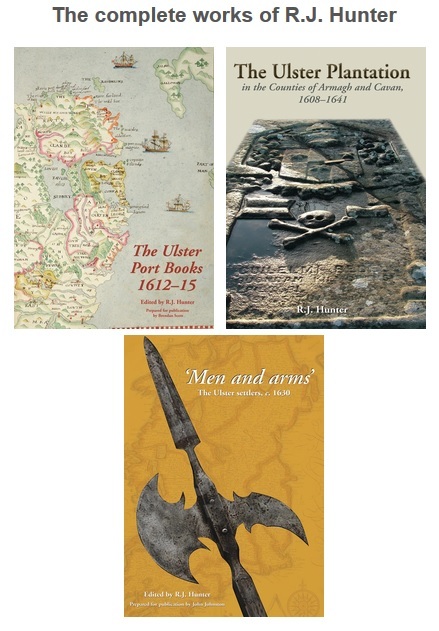 Browse through 600 pages of the 'Historical Memoirs of the City of Armagh' to learn more about the history of Northern Ireland. Search over 600 records taken from George Benn's 'A History of the Town of Belfast from the Earlier Times to the Close of the Eighteenth Century'. 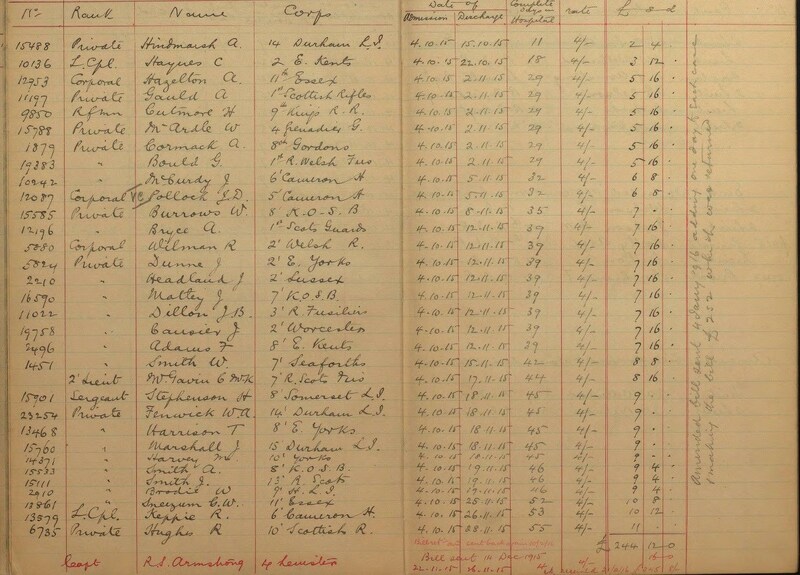 Over 2,000 additional records have been added to our collection of Dublin Registers & Records. 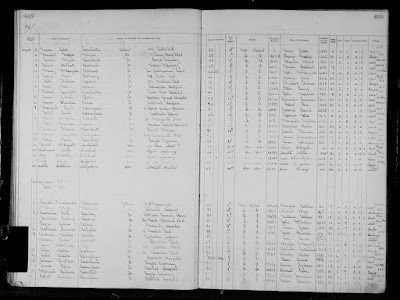 Dublin Registers & Records contains 22 Irish titles comprised of PDF images, including parish records (baptisms, marriages, and burials) from the Church of Ireland, census indexes, school registers, monumental inscriptions and printed histories. Additional records have also been added to our collection of Royal Irish Constabulary History & Directories. Released in association with the National Archives, the collection contains an assortment of pay records, lists, directories, commendation records, treasury books, Constabulary Code books and training manuals. This spring Family Tree is launching Family History Week – a free online genealogy event of seven days jam-packed with genealogy advice to help family historians of all levels discover new things about the hobby they love. 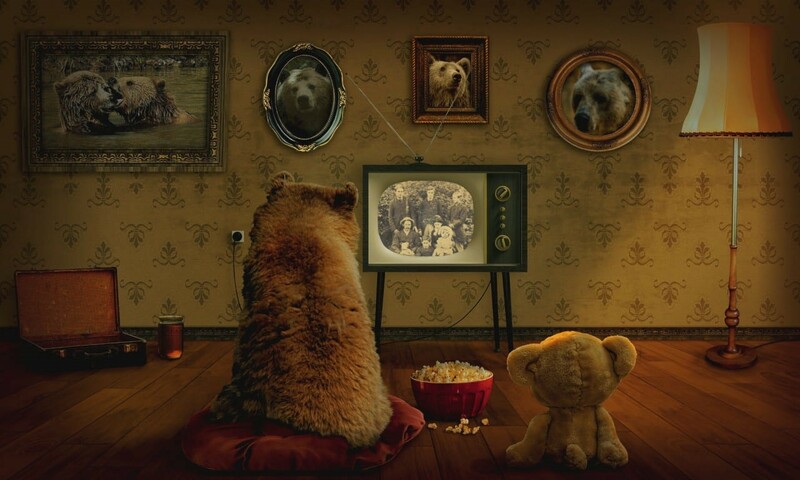 Family History Week will be an online event based at www.family-tree.co.uk where each day, 16-22 April 2018, there will be family history tutorials, useful downloads, essential guides, prizes, quizzes and much more for family historians to enjoy. Family Tree would like to welcome family historians and genealogy businesses from all sectors of the heritage community to get involved during the week across social media platforms. Bookings for the Secret Lives genealogy conference hosted by the Association of Genealogists and Researchers in Archives (AGRA), the Guild of One Name Studies, the Halsted Trust and the Society of Genealogists are going very well. In fact they are going so well that the early bird allocation of rooms from the venue are now all sold. But don’t worry we’ve secured some more accommodation and there are still places available at hotel for full or day conference attendance. We are very much delighted to have sold the places so quickly but as a consequence, have not been able to honour our initial commitment to keep the early bird offer open until the end of April. So, all tickets are now at full price – and there are not that many of these. We anticipate that the conference will be fully booked by the end of May. As a consequence of us not being able to maintain early-bird tickets until the end of April, we will be giving anyone who books between now and the end of April, a voucher for £15. This voucher will have no actual monetary value but can be exchanged, at conference only, for money off either books from the Society of Genealogists bookstall or off DNA kits being sold by the Guild of One-Name studies. A full three stream programme of 33 fascinating talks for over three days is now published on the conference website http://secretlives.org.uk/ featuring nationally and internationally known genealogists and historians, including Dr Janina Ramirez, Emily Brand, Nick Barratt, Sarah Wise, John D Reid, Michelle Patient, Dr Penny Walters, Janet Few, Angela Buckley, Kirsty Wilkinson and more. Lectures are aimed at family historians interested in tracing ancestors who may be less represented in mainstream records, whose voices are difficult to hear or who might be overlooked or indeed elusive. We’ll hear about poverty and lunacy, soldiers and mutineers, Duchesses and fallen women, divorcees and squatters, slums and manors, witches and free gentlemen, slaves and spies, monks and infanticide and more. Follow the SecretLives2018 conference chat on Facebook, Twitter, Instagram and Pinterest. I have been contacted by Dr. Mike Esbester about a University of Portsmouth and National Railway Museum project website underway entitled Railway Work, Life & Death, located at http://www.railwayaccidents.port.ac.uk/. Welcome to the website for the Railway Work, Life and Death project, a joint initiative between the University of Portsmouth and the National Railway Museum (NRM). We’re aiming to make it easier to find out about railway worker accidents in Britain between 1911 and 1915 – who was involved, what they were doing on the railways, what happened to them and why. Although today most people don’t realise it, working on the railways 100 years ago was incredibly dangerous, with hundreds killed and tens of thousands injured each year. In this project a team of volunteers from the NRM, to whom we’re immensely grateful, have painstakingly been through reports produced by the state-appointed Railway Inspectorate between 1911 and 1915, detailing investigations into railway worker accidents. They’ve extracted the details found in the reports – things like names, ages, roles, companies and details of the accident – and entered them into a spreadsheet. This spreadsheet is now available, on this website, so that anyone who’s interested can easily learn more about work and accidents on Britain’s railways around the time of the First World War. We think this will be of great interest to all sorts of people: railway enthusiasts, family historians, railway museums and heritage centres, the current railway industry and academics. The Railway Work, Life and Death project is making use of accident reports produced by the Railway Inspectorate, the body that was created by the state to oversee railway safety. It is also asking for contributions from the public on any further information that might be available. To access the database of accidents on the platform, please visit http://www.railwayaccidents.port.ac.uk/the-accidents/ and scroll to the bottom of the page for the link. As part of the new look results pages for FamilySearch (see http://britishgenes.blogspot.co.uk/2018/03/new-familysearch-layout-reveals-many.html), I have been looking at the catalogue results lisiting on the Scotland search page. Although it can still be quite hard work sifting through the thousands of results listings, the use of filters helps to an extent to narrow down the numbers to help locate some gems. Amongst these, I have discovered that many of Glasgow's burial registers are now freely available online. 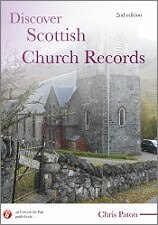 Records for the Glasgow Necropolis, the Eastern Necropolis, the Southern Necropolis, Riddrie Park Cemetery, Lambhill Cemetery, Cardonald Cemetery, and many others, are available - see https://www.familysearch.org/search/catalog/results?count=20&query=%2Bkeywords%3Aglasgow&page=1&topic1=Birth,%20Marriage%20and%20Death~Cemeteries. Not all records are as yet available for each cemetery as digital microfilms - for the Eastern Necropolis, for example, digitised registers covering 1861-1874, 1878-1885, 1912-1944, 1944-1995 are available, but the gaps exist only in the form of conventional microfilms, at least for now. But I have already made many finds for my family in Glasgow through the records. So if you have Glaswegian ancestry, have fun! 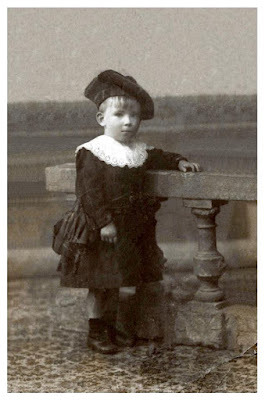 Search collections of records for documents about your ancestors. You can filter which collections you would like to search within. Can't find records for your ancestors when you search? Try our collections that haven't been indexed yet. Select a collection to start browsing the images. These vary from country to country - for example, there are no collections for Ireland as 'image-only historical records'. But the collections can also be filtered down to collection types, and there are some nice surprises. For example, in searching Catalog Material for military collections within the Irish section, I have just found a collection called Irish personnel of the British Army, containing free to access digitised registers of births, marriages and deaths from 1883-1931. · An information pack is being developed and an interactive learning packages for schools. Two PRONI facsimile packs are being updated for next year, one on the Plantation which is being revised and updated by the Ulster Historical Foundation, to be launched in May 2018. PRONI is working with Dr Timothy Bowman and Jim McBride CCEA in revamping an educational resource (Steps to Partition) that will be aimed at A Level students and which anyone can use. Approximately 30 documents will be added into the pack which will be a PDF document and should be released in May. PRONI is continuing its efforts towards Archive Accreditation. Cataloguing of the papers of the Belfast Naturalists’ Field Club (D4614) is now complete, and will be published shortly. Work continues on cataloguing papers relating to the Women’s Legion in the 1930s/1940s within D3099/14/2/1/2. This includes correspondence (organised by correspondent) and correspondence (organised by theme) and correspondence relating to the Mechanical Transport Section. Work has also started on papers relating to the Air Section. There are approx. 6 boxes still to be catalogued including papers relating to the Land Army, the Mount Stewart canteen, the Red Cross and the War Service Legion. There are improved catalogue descriptions and updated access decisions for D4403 (Bangor Union masonic Lodge). Work is ongoing with the Harland and Wolff Drawing Office Papers deposited by Titanic Quarter. 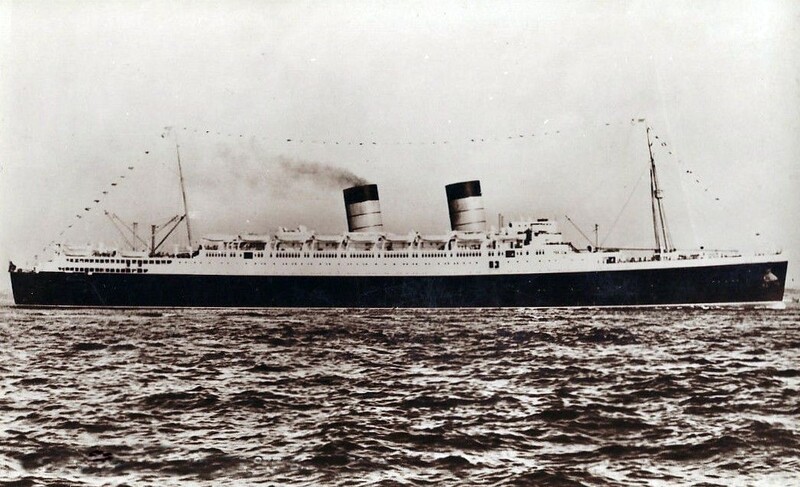 Specifically carrying out cataloguing on ships plans at D4413/5/14. There are about 30 boxes of plans dating from 1930’s to 1970’s. Ship numbers and names will be included in catalogue descriptions. Shaw and Moat Family Papers (D4654) – Papers of Richard Humphreys Shaw (c.1808-1888) of Dunmurry, Belfast and Tobermesson, Co. Tyrone comprising personal correspondence, including letters from his sisters who immigrated to Mississippi; accounts, including bills, receipts and handwritten lists mainly relating to his farm at Tobermesson, and a small amount of printed material and newspaper cuttings (c.1841-1919). Hugh Alexander Papers (D4655) – Papers relating to Major Hugh Moore Alexander comprising two annotated albums containing photographs by Major Alexander during his service with the Royal Army Medical Corp and depicting scenes of army and civilian life in Mesopotamia and Northern Russia during the First World War. Major Alexander was born in County Cavan in 1892. (c.1917-1944). Royal Belfast Golf Club (D4650) – Minute books relating to the Royal Belfast Golf Club, the oldest golf club in Ireland. Four additional volumes were received, 2 each for the men’s and lady’s branches of the club. We now have 8 volumes of minutes for the club, 1888-1922. Islandreagh Beetling Mill (D4656) - Lorraine and Liam visited Islandreagh Dyeing and Finishing Company in Dunadry on Wednesday 21st February to appraise and bring back records. There were five or six sacks of binders with business records dating back to c.1930 as well as several boxes of records in the manager’s office. Three boxes of material were taken including sample thread book; an order book; a day book; a sales ledger; an account book and samples of correspondence demonstrating the international dealings of the company. C.1930-1992. Unfortunately earlier material for the mill was reportedly destroyed by the previous owner. The mill has probably been in operation since the late 18th century. The PRONI Reprographics Team has now completed digitisation and QA on 46 volumes for this year’s Church Records digitisation scheme. This is out of a total of 73 volumes it hopes to digitise this year, leaving up to 27 volumes to go. The original records will be returned to the participating churches and the digital copies made available in the PRONI search room later this year. PRONI is rolling out a pilot volunteering scheme for which 30 people submitted applications. The project will involve bringing in three volunteers for six months. Training will be included as part of the scheme. Projects will be based in Private Records, Reprographics and Public Services. In Private Records, it is hoped that the volunteer will contribute to work around indexing and cleaning documents from the Young and Mackenzie (architects) archive. The terms for volunteers being able to claim for expenses etc. were outlined. The volunteer in Public Service will be name indexing absentee voters. PRONI is particpating in the Beyond 2022 project, which is aiming to create a virtual repository of the Public Record Office (Four Courts, Dublin). The virtual repository layout has been created but not populated. The proposal is to create links to surrogate archives held elsewhere eg PRONI. Further details can be found on the Beyond 2022 website at https://beyond2022.ie. In it’s Centenary year of 2016, Erskine partnered with the University of Glasgow to work on a variety of projects which gave a fascinating insight into the history of Erskine, when it was known as the Princess Louise Hospital for Limbless Sailors and Soldiers (find out more about these projects here). 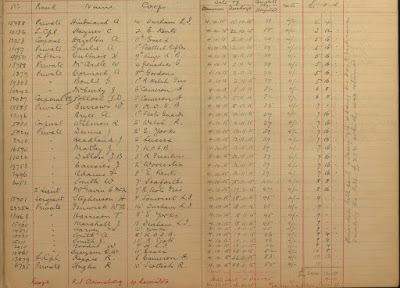 A key historical asset is the admissions register, covering the period from 1916 -1936, which shows the patients admitted during that time. 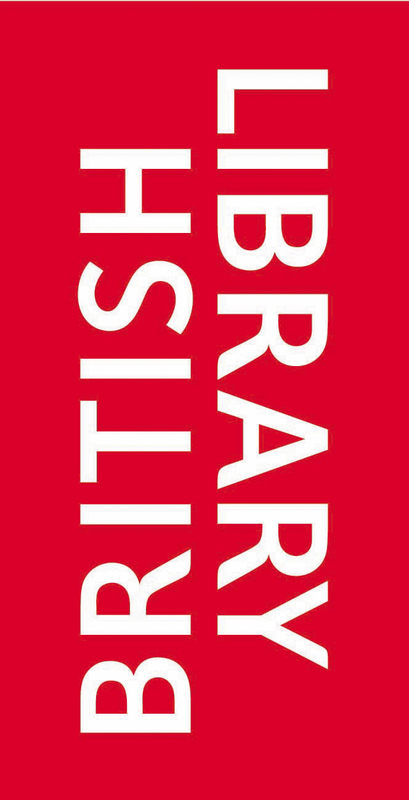 The University received a grant from the Wellcome Trust to conserve and digitise the admissions register to make it widely available to researchers. Thanks to volunteer indexers from the Glasgow and West of Scotland Family History Society the data from 1916-1936 is now fully searchable. Click the link below to begin your search. 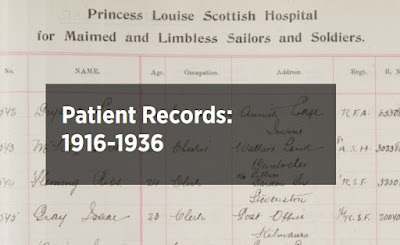 To search the records, please visit https://www.erskine.org.uk/patient-records-1916-1936/. 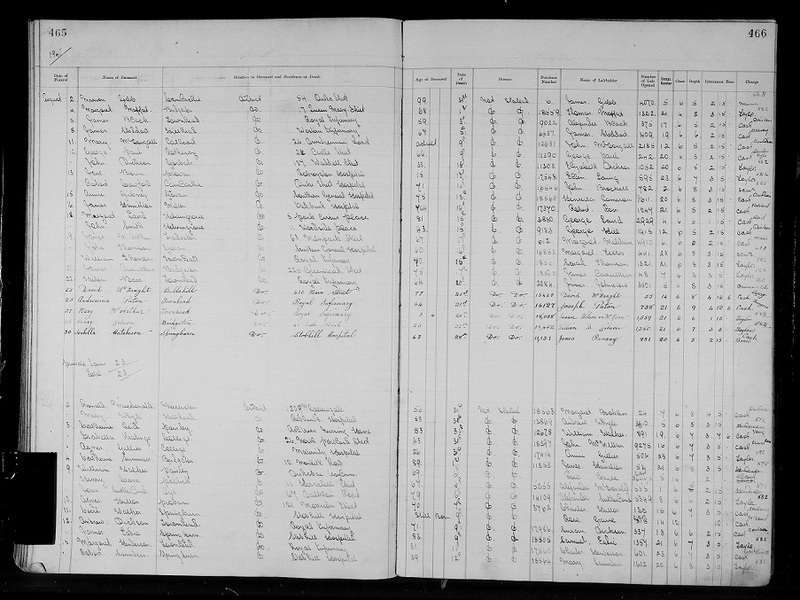 Search for your ancestors in our new and improved index of civil birth registers from Ireland. This updated version of the Irish Births Index consists of over 2.7 million transcripts that have been created by Findmypast from images held by IrishGenealogy.ie. As well as listing the date and location of your ancestor's birth, these new transcripts provide a variety of additional details including the names of both parents (including mother's maiden name), father's occupation and full dates of birth. Each transcript will also include a link to the source website that may provide additional information about the registers as well as access to images. Learn when and where your Irish ancestors were married with over 2.6 million transcripts of images held by IrishGenealogy.ie. These new transcripts will also provide a variety of additional details including the names of the couple's parents, their fathers' occupations, their residence and marital status. Each record includes a link to an image of the original register entry and new additions will be added to the collection later in the year. Over 43,000 new records have been added to our collection of Monmouthshire Electoral Registers. The new additions consist of handwritten Gwent registers spanning the years 1832 to 1849 that will allow you to discover where your Welsh ancestor lived and the type of property they owned or rented. The knowledge you gain from our family history courses will help you get to grips with research techniques, archives and genealogical sources in Ireland; provide you with the information and skills to further explore your family history and help you find your elusive Irish and Scots-Irish ancestors. Consider yourself a more experienced genealogical researcher who wants to learn new techniques and lesser known sources. If you choose to pay in instalments you will be expected to pay three instalments of £159.99 for non members and three instalments of £149.99 for guild members. 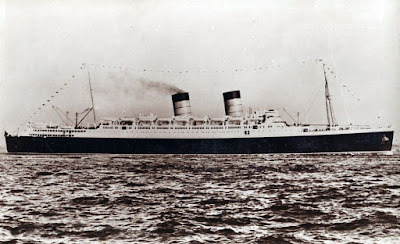 Researchers who had ancestors that travelled abroad from Britain in the 1940’s will find these records a fascinating addition to the vast collection of records on TheGenealogist. For International Women's Day I'm going to go all ancestral and thank my Scottish great grandmother Jessie MacFarlane, from Inverness, for her bravery in the First World War. Jessie survived throughout the four year long German occupation of Brussels as an enemy civilian. Her husband David Paton died whilst in hiding to avoid internment, her son John was interned a few months later when he turned of age; her other son, my grandfather Charles, was just a boy, and her daughter Annie was also with her (and her eldest son William was in Gallipoli serving with the RAMC). I have letters and documents showing how they barely made it from day to day with no financial support. I've sadly never seen a photo of what Jessie looked like, and would dearly love to. So here are pics of her son Charles, taken in Brussels, her son John (seated) as an interned prisoner at Ruhleben, Germany, and her husband David, who died during the occupation. A sea of men - with a missing matriarch who tried to keep the family together when the chips were down, and suffered immensely in the process. PRONI is pleased to announce the launch of our latest digital resource – a digitised register of war casualties who were treated in the Royal Victoria Hospital (RVH), Belfast, between September 1914 and November 1916 (PRONI Reference: HOS/2/1/4/1), and a corresponding names index. The medical service provided by the RVH was paid for directly by the War Office, assessed at a flat daily rate per individual. These records are exceedingly rare, as similar examples were destroyed en masse by UK military authorities after the war. The register includes details of over 700 soldiers from various regiments who were treated in the RVH during this time. In addition to personal and regimental details, there are also occasional annotations, for example, the register identifies a recipient of the Victoria Cross, Corporal James Pollock VC of the Cameron Highlanders. Pollock was admitted on 4 October 1915 (see page 9) and was awarded the Victoria Cross for his actions at the Battle of Loos in September 1915. The register was launched today as part of PRONI’s ‘Women and Medicine during the First World War’ conference, marking International Women’s Day later this week. The conference, delivered in partnership with the Royal College of Nursing History of Nursing Network NI and Imperial War Museums, explored the experiences of female medical and nursing personnel working at home and abroad during the First World War. Captain James Cook was one of the greatest sea explorers of all time. In this keynote lecture, Professor Nicholas Thomas, Director of the Museum of Archaeology and Anthropology at the University of Cambridge, reimagines Cook's journeys to describe what he and his associates experienced and what the societies he encountered experienced when their divergent worlds came together. In a keynote lecture, Anne Salmond, author of The Trial of the Cannibal Dog and Aphrodite’s Island, examines the differences between the wooden world of Endeavour and the Pacific Islands James Cook visited, discusses some of the artefacts collected during the voyage, and contrasts our contemporary world with the world of Cook, Joseph Banks and their companions. In August 2017, a statue of James Cook in Sydney’s Hyde Park was defaced amid demands that its inscription should be changed, prompting intense debate about celebration and dispossession. Why is Cook such a controversial figure? Anne Salmond and Ahilapalapa Rands discuss Cook’s social, environmental and cultural legacy. Chaired by Nicholas Thomas. To book tickets, please visit https://www.bl.uk/whats-on. Tickets are on sale to Members from 1 March and on general sale from 8 March. 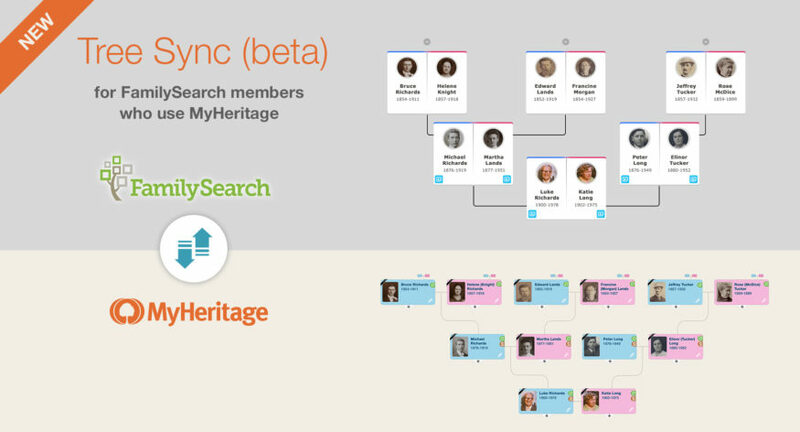 For the past 2.5 years, MyHeritage and FamilySearch engineers have been developing together a unique feature — FamilySearch Tree Sync — that allows members of the Church of Jesus Christ of Latter-day Saints (LDS) to easily and accurately import a portion of their tree from FamilySearch into MyHeritage, and then keep their MyHeritage and FamilySearch trees synchronized. This feature is now released in a limited beta, and volunteers who are LDS members are invited to try it out. LDS members are entitled to receive free MyHeritage Data and PremiumPlus subscriptions which will give them access to more tools and historical records to further enhance their family history research. FamilySearch Tree Sync is only available and applicable to MyHeritage users who are also LDS Church members. Users of MyHeritage who are not LDS Church members will not have their trees synced to FamilySearch. To sign up, please visit https://www.pharostutors.com/details.php?coursenumber=102 - I hope to see you soon! 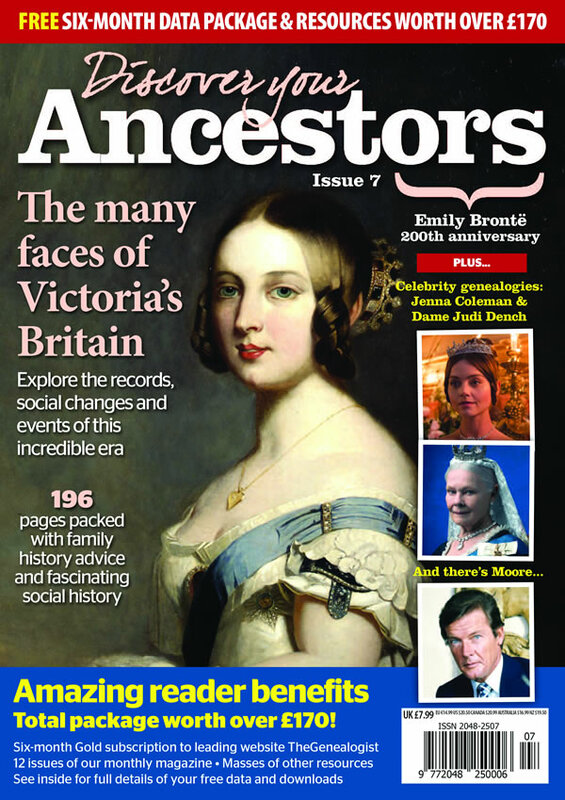 Discover Your Ancestors edition 7 is now on sale. The 196 page annual bookazine contains new in-depth articles, research advice, social and general history, 'how to' features, case studies, places in focus, and much more! It is ideal for both experienced researchers and those just starting out. 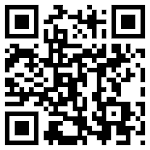 Masses of other downloadable resources and much more! 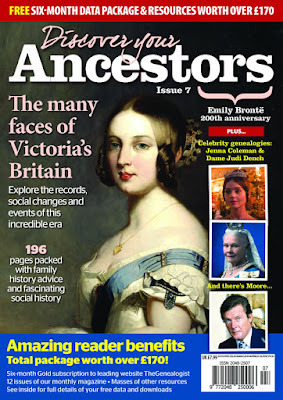 NB: I have written an article for this edition on how to find Scottish records for family history research prior to the year 1800.